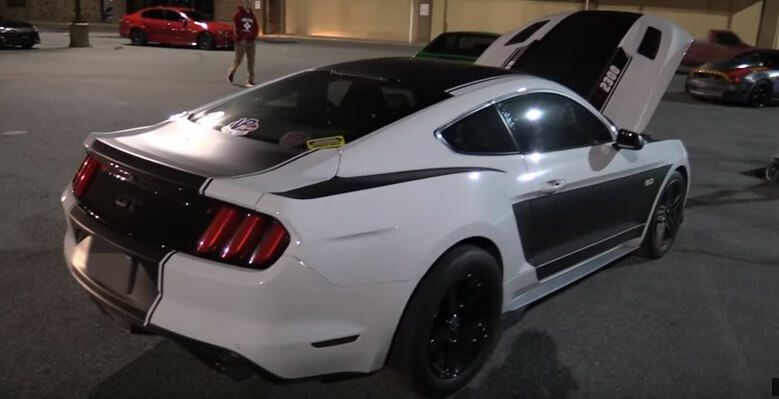 Blown Roush Mustang vs BK34 Corvette Z06 street race! Blown Roush Mustang vs BK34 Corvette Z06 street race! The Corvette has the race heads on, the Cam as well and the Bolt-ons are there as well. All the other parts are customized and changed from the stock ones but if not, they wouldn’t matter at all. It is the Mustang that is in the spot tonight and nothing would have saved the Corvette from this bitter defeat. When the Roush Mustang owner saw the LS7 engine in the Corvette, he was relieved because he knew that his engine was much more powerful. The Mustang that he owns is the supercharged version of it, having the Roush Phase 2 on. There is a note in the spec sheet that is saying the horsepower is unknown. Seems like they never tested this beast on the dyno. You should check out this $1000 street race. Spoilers: You are gonna see some wicked burnouts! !